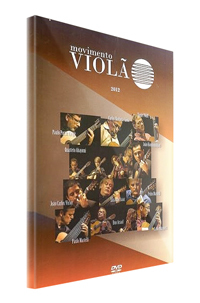 “Movimento Violão” is the most important Brazilian guitar concert series of today. It includes also a TV show that is broadcast daily in Brazil. Carlos Barbosa-Lima, Daniel Wolff, Duo Assad, Eduardo Isaac, Joao Carlos Victor, Joao Kouyoumdjian, Pablo Márquez, Paulo Martelli, Paulo Porto Alegre, Pedro Martelli and Quarteto Abayomi. Joao Carlos Victor © All rights reserved.